NASA is challenging school-children to protect their future ride into space. The agency’s Exploration Design Challenge (EDC), announced March 11 during an event at the Johnson Space Center in Houston, engages U.S. students in kindergarten through high school in helping to solve the known problem of increased radiation exposure encountered on flights into deep space. Through teacher-led classroom activities and, for the older entrants, access to the resources to design, and perhaps build and then fly into space a prototype radiation shield, students from across the nation will be able to contribute to the first flight of the Orion multi-purpose crew vehicle (MPCV), the Exploration Flight Test (EFT-1), targeted for launch in September 2014. The EFT-1 mission will launch from Cape Canaveral, Fla., on a United Launch Alliance Delta IV Heavy rocket, which will boost an unmanned Orion capsule on a two-orbit flight around the Earth. Once in space, the craft will rise to more than 3,600 miles (5,800 kilometers) above the planet — 15 times higher than the International Space Station — prior to turning around to come home to perform a high-energy test of its heat shield. 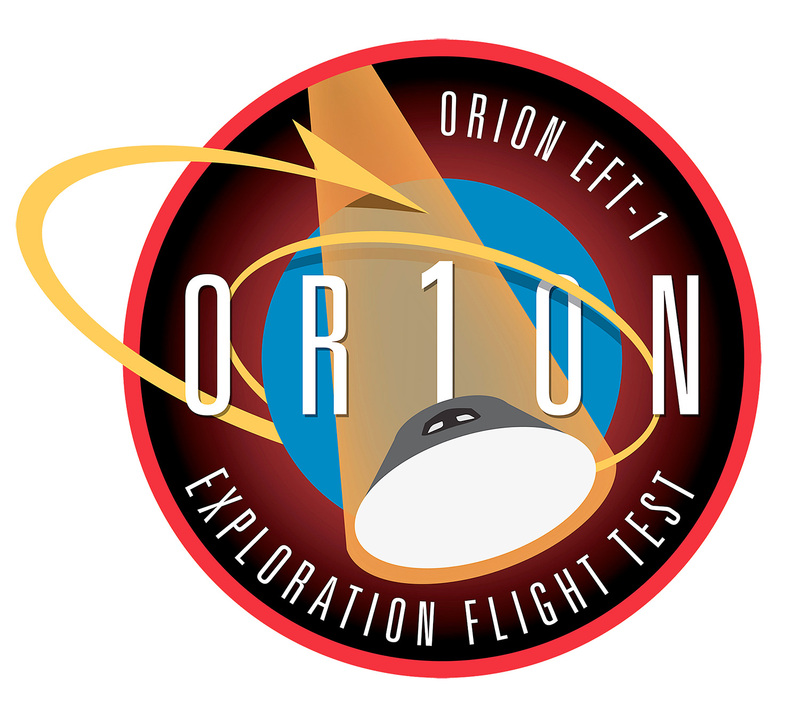 The EFT-1 Orion will be equipped with a NASA-designed radiation sensor to measure the harsh space environment that the capsule will fly through. But it may be the student design for a radiation shield that offers the breakthrough technology for astronauts to follow on future missions. The design challenge is divided into three levels. 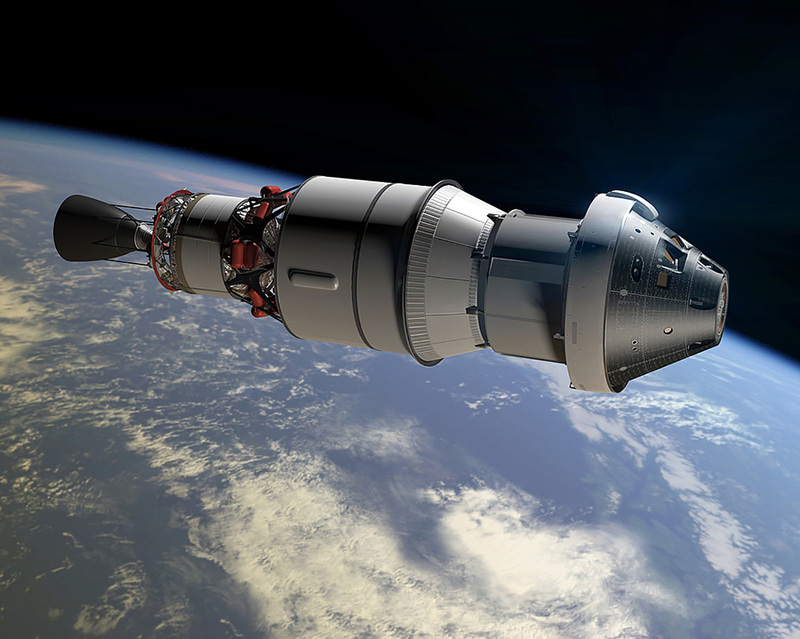 For the first two groups – children in kindergarten through 4th grade, and 5th through 8th grades – their teachers will lead them through studying the effects of radiation on human space travelers and analyzing materials that can simulate space radiation shielding for Orion. After participating in these activities, the students will recommend materials that best block harmful radiation. At the high school level, grades 9 through 12, students will design the shielding to protect a sensor inside Orion from space radiation. “All of you who participate will be part of something that has never been done before, the first test flight of Orion,” Marilyn Hewson, president and CEO of Lockheed Martin, said, addressing the students who attended the event and who were watching live on NASA’s television channel. 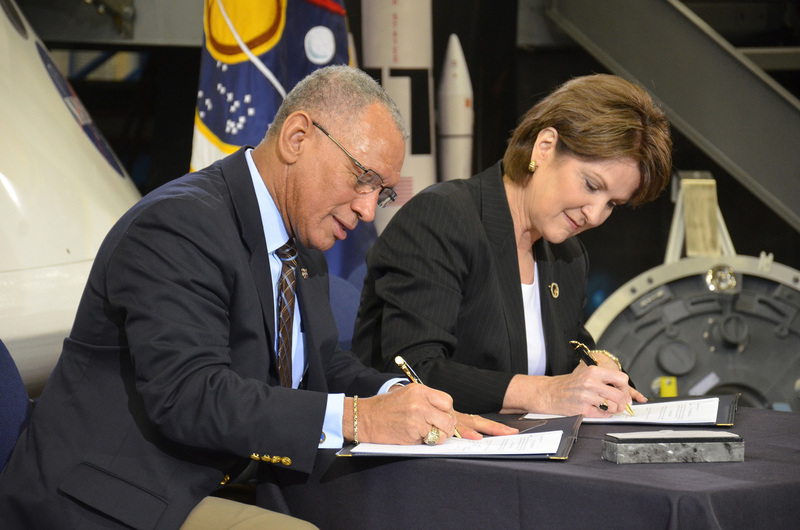 Lockheed Martin is NASA’s prime contractor for the Orion MPCV and is building the capsule that will fly on EFT-1. All the students who take part in the design challenge will join the mission as “honorary crew members” by having their names flown aboard the Orion. The winning team’s status will be more than honorary — their radiation shield design may someday protect Orion’s real crew members. For details on how students can enter NASA’s Exploration Design Challenge, see NASA’s Education website. Authored by Robert Pearlman, this article appeared first at collectSPACE.com.